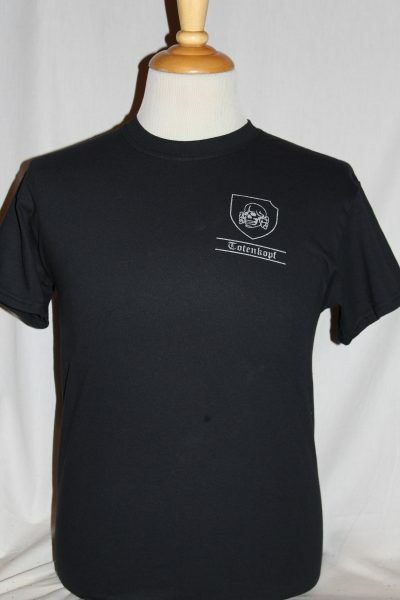 The 3rd Waffen SS Division Totenkopf T-shirt is a single sided print in black. 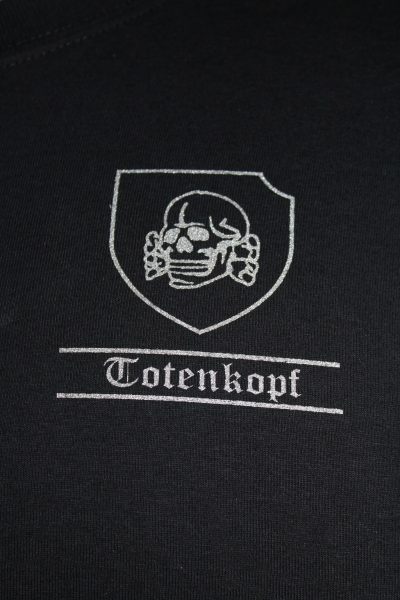 Front Design Only: The 3rd SS Totenkopf Division dead heads insignia is screened on the front with SILVER INK! Founded 1939 as an Armored Panzer Division. Fought in the Netherlands, France, Balkans, Russia, Hungary, Bohemia.